Through our state-of-the-art gmp facility and highly skilled scientists, Pharmatech is able to provide a vast array of in-house laboratory services. Some of the services includes testing for Identification, Assay, Content Uniformity, Dissolution, Disintegration, Microbial Limits and more. Product Support Services is where we assist Manufacturers, Packagers, Raw Material Suppliers and Formulators in nearly every aspect of testing from conception to product release. Several important areas to consider are Stability Storage/Testing, Cleaning Validations, Raw Material and Finished Product Testing, Facility and Vendor Qualifications. Stability storage and testing is required in order to assign expiration dating. We have the capability to install many temperature and humidity conditions for storage, both ICH and custom. A variety of light studies can be performed as well. Analysis of products at client specified time intervals are conducted upon request or as needed. 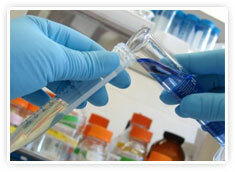 In some cases, samples are returned to a client for subsequent testing. 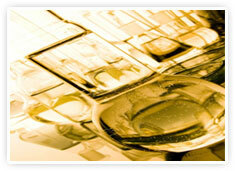 Pharmatech LLC can perform a vast array of tests from a variety of compendia. These include USP/NF, EP, JP, BP, FCC, JPE, ACS, AOAC, AOCS and ASTM. We also routinely provide customized raw material and finished product testing to accommodate our client’s requirements. Alternative methods to compendia procedures are frequently required. They can be supplied by our clients, or their vendors. Many times we will develop new methods, and if needed, validate them.